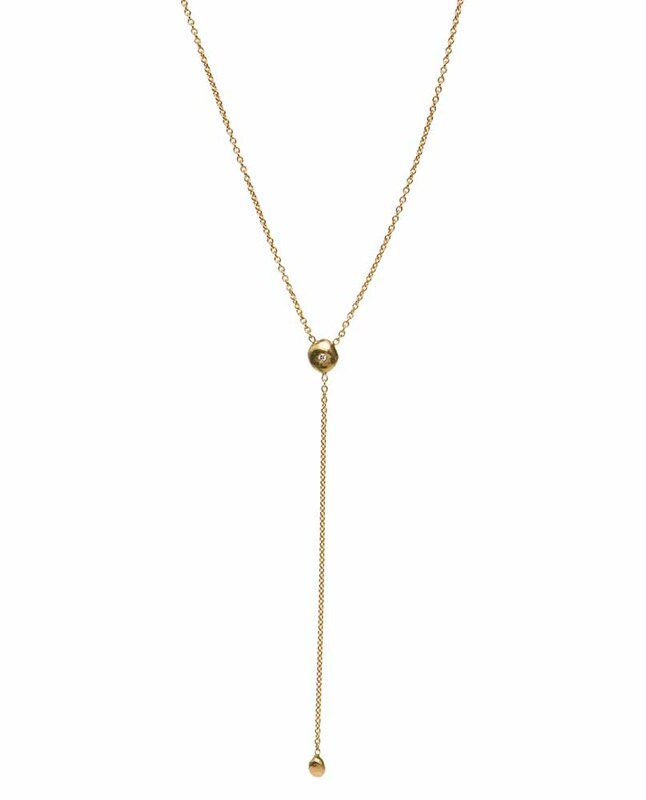 This 18k yellow gold necklace is comprised of 2-3mm rough grey and faceted black diamonds. 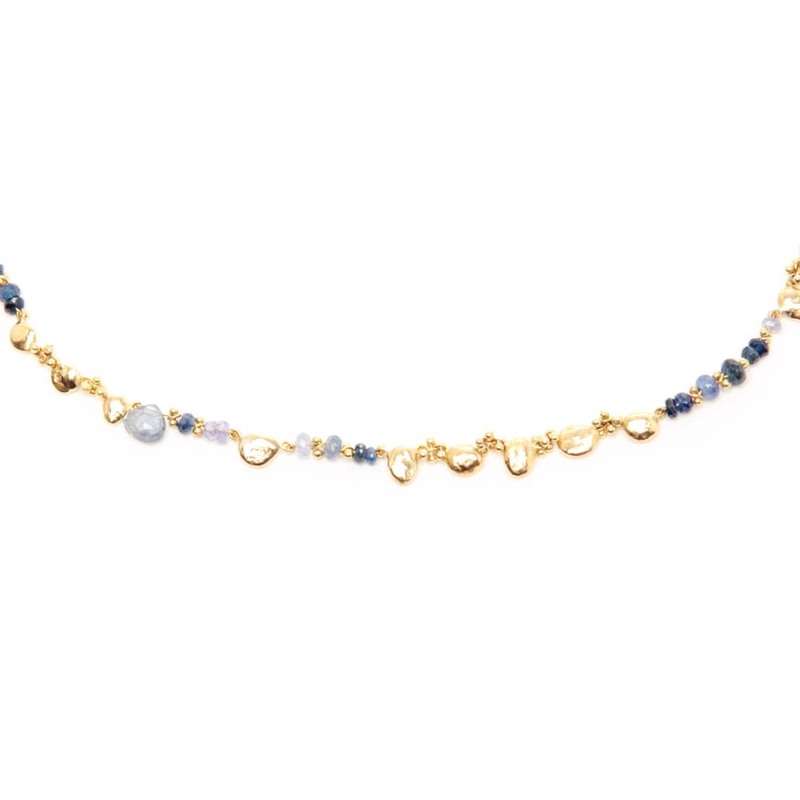 The necklace has a single small hand melted signature solid gold nugget, the nugget has an approximate diameter of 5mm. 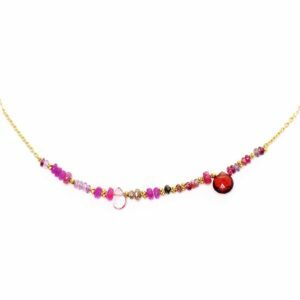 The total length of the necklace is approximately 45cm/ 18″. Please note this Natasha Collis item is handmade, therefore unique and may vary slightly from the item pictured.